You might have the dream to own a luxury apartment in the ultra-modern environment of Delhi-NCR region. As being close to the national capital, Greater Noida is itself so strong and capable to provide the world’s best infrastructure and numerous employment opportunities. Connected to the Noida Expressway, this region provides seamless connectivity to the residents. To enjoy all these advantages a number of people are coming here make Greater Noida their living destination. 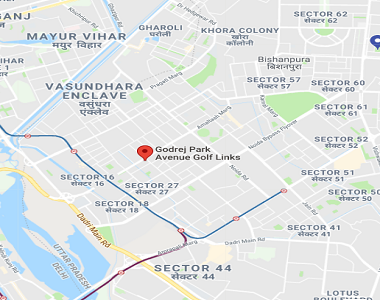 Considering the growing housing needs, Godrej Park Lane Noida Recently launched residential complex from Godrej Properties, located in Sector 27, Greater Noida near Pari Chowk. This is one of the finest luxury abodes in Greater Noida. 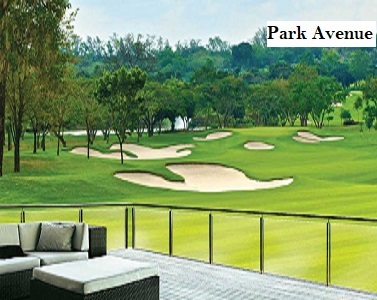 The homebuyers looking for high class living in the midst of nature by enjoying the supreme extravagances can visit this development. Constructed with RCC framed structure, the brilliant architectural work offers a contemporary style of living with sophisticated interiors. With a great deal of thoughtfulness, each of the units is designed with the very best level. For the effective use of every single inch, the designing team has carefully considered every minutiae detail. Being closer to many conveniences, this project is gaining more and more attention to the homebuyers. 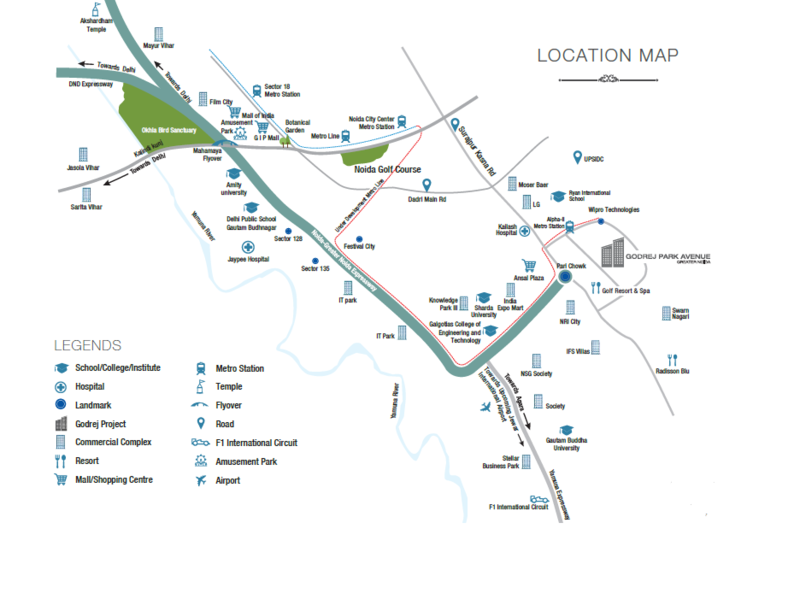 The development is located in an area which is immensely popular and is the home for the commercial sector. Major institutes of higher education and top IT companies are in close proximity to Godrej Park Lane Greater Noida. Pari Chowk is now emerging as the most favorite hotspot for high-end lifestyle. 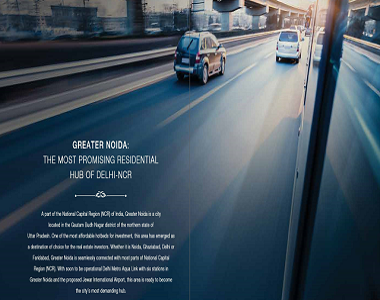 The real estate sector around this locality is well supported by the excellent transport facility and there is a well-connected network of express roads from this part to all other major destinations of Delhi-NCR region. Delhi Metro, Railway Stations and International Airport all lie in close vicinity. The complex is located just 3 minutes from Noida Expressway, 20 minutes from Kalindi Kunj and 30 minutes’ drive away from Akshar Dham Temple. Apart from that, the residential complex comes with a number of other advantages for its location. The everyday essential requirements and important places of public utility like reputed schools including Delhi Public School, Ryan International, G.D. Goenka and many more are in close proximity to the township area. The hospitals providing the best medical facilities including MAX, Fortis etc. are located close to the complex. Besides, there are many supermarkets, shopping malls, cinema malls, ATMs, departmental stores; chemists, restaurants, café’s etc. are located close to this development. The 3, 3.5 and 4 BHK luxury Godrej Park Lane Villaments provide spectacular views of themed gardens. The three side open luxury villasments offer a panoramic view from every corner of your residences. The construction is done by keeping in mind the low density to provide you with more space and with the same intent the spacious balconies curated the landscaped views from every home. You will fall in love with the great interiors used in these living spaces. The brilliant floor planning of these homes offers an exotic living experience swaddled in a beautiful environment. The sky decks situated at the top of each tower provides the families to spend some quality time along with distant views of the city. With polished doors, great furnishings, excellent floorings, superbly coated walls, engineered wooden flooring in master bedrooms, UPVC sliding windows, modular kitchens with multiple provisions, classy plumbing fitting, high quality cables and connectors used in electrical fittings, beautiful concealed LED lights, textured painting in common areas, etc. the interiors of sophisticated villasments are truly amazing. Life in this luxury township is not less than a life in heaven. You can find the ultimate pleasure of life in the exclusive amenities offered to the residents. · Eco-friendly environment with Vaastu complaint homes, each of the unit is centralized with air-conditioning systems equipped with VRV and VRF technology. The residential properties in this region are in great demand and therefore, this is the right time to invest in a luxury villasments at Godrej Park Lane. The upcoming infrastructure and other commercial and residential projects in this area will only cause a great hike in the prices. Make a smart move to invest here and enjoy the prosperous living with the world-class community here. 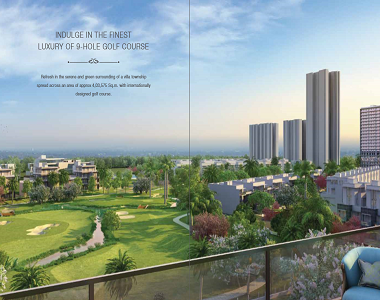 Low rise Villament at Godrej Golf Link. Golf Practice academy by golfing nation. Panoramic view from every corner of your residences. Three side open luxury villaments. Curated Ladscaped Views From Every Home. Low Density Ensuring More Space Per Capita. REP -1 , Sector 27 , Greater Noida, Noida.